Ever more people live alone and eat away from home. But for today’s mobile population, food not only has to be available quickly and at any time, it also has to be ultra fresh and healthy. How Valora lives up to these trends. Ever more people live alone and eat away from home, whenever time and workload allow. But for today’s mobile population, food not only has to be available quickly and at any time, it also has to be ultra fresh and healthy. How Valora lives up to these trends. The picture of the family sitting down to a shared lunch has become a rarity in the city. These days, usually both parents work. There is no time for cooking and coming home for lunch. The children prefer hanging out with their friends. Many people in the urban centres live alone anyway and only have childhood memories of the family sitting down together for lunch. The result is out-of-home consumption or snacking, owing to people’s mobility and lack of time. The motto is to «quickly fetch something to eat,» with mealtimes no longer following traditional patterns. At first, hungry modern-day people had to rely on takeaways and fast food restaurants, often selling only pre-produced shrink-wrapped sandwiches or lukewarm defrosted ready-to-serve meals. Out-of-home consumption or snacking owe to people’s mobility and lack of time. The trend towards mobility and eating on the go has since intensified and consumer needs have grown further. Today, convenience food must also be ultra fresh and healthy. Valora is meeting this need with its «Handmade with Love» label, which has been available from the new-look avec stores since August 2018. This label identifies products that are prepared freshly in the shop, such as sandwiches, salads and fruit cups. The shops also sell regional foodstuffs, thus meeting the demand for healthy food while also making a contribution to sustainability. The «Handmade with Love» label identifies in the new-look avec products that are prepared freshly in the shop. BackWerk has also taken the route to freshness. 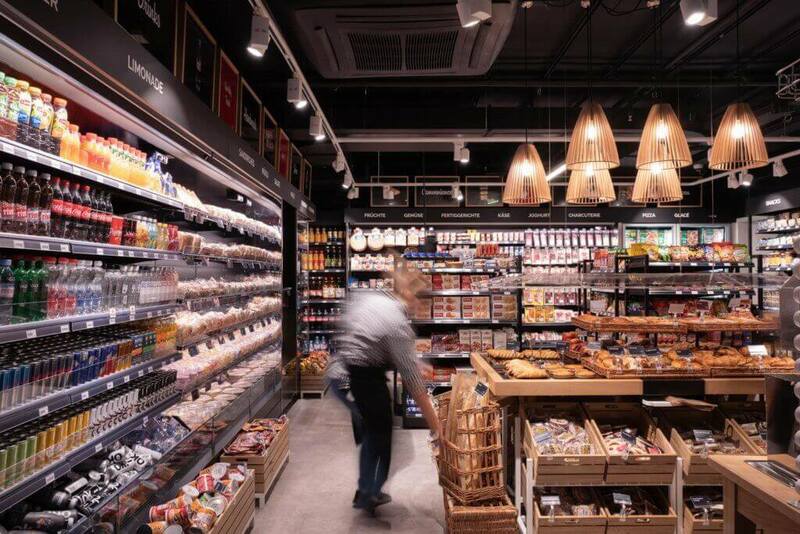 Founded in 2001 as Germany’s first self-service bakery, BackWerk has evolved into a culinary establishment offering more than just bread and baked goods in its 350 stores in Germany, Switzerland, Austria, and the Netherlands. 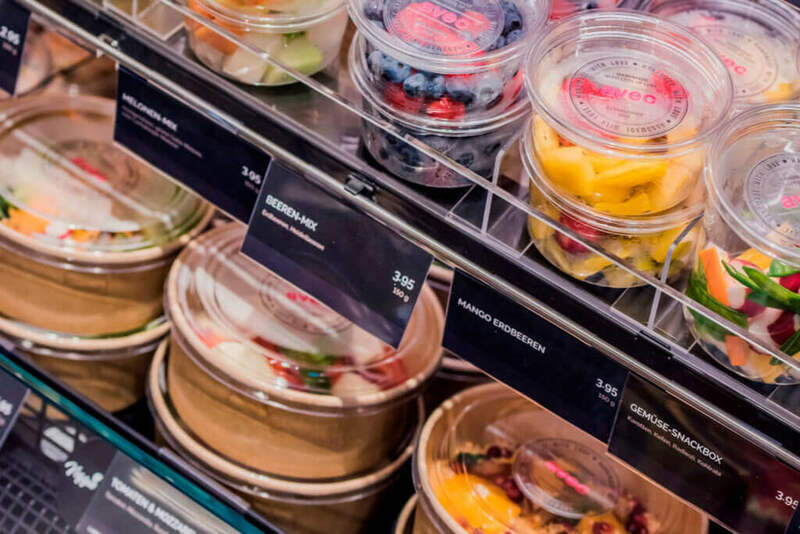 «Feel-good food» dominates the selection, which now also includes wraps, salads, fresh pizzas, freshly-pressed juices and healthy smoothies – throughout the day. 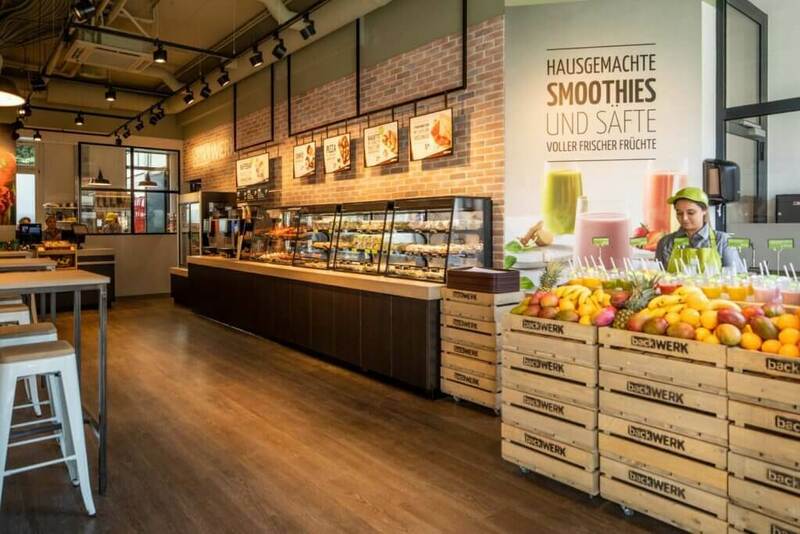 New BackWerk in Winterthur: «Feel-good food» with freshly-pressed juices and healthy smoothies dominates with the selection. The open kitchen allows guests to see for themselves that the products are being freshly prepared all the time. As dressings and juices are prepared on site, for example, fewer additives are needed, which improves the quality of the final product. The self-service concept also means that those with little time can buy exactly the healthy food items which they want. And all BackWerk products are offered at attractive prices. But BackWerk is going the extra mile and is increasingly becoming an attentive host. 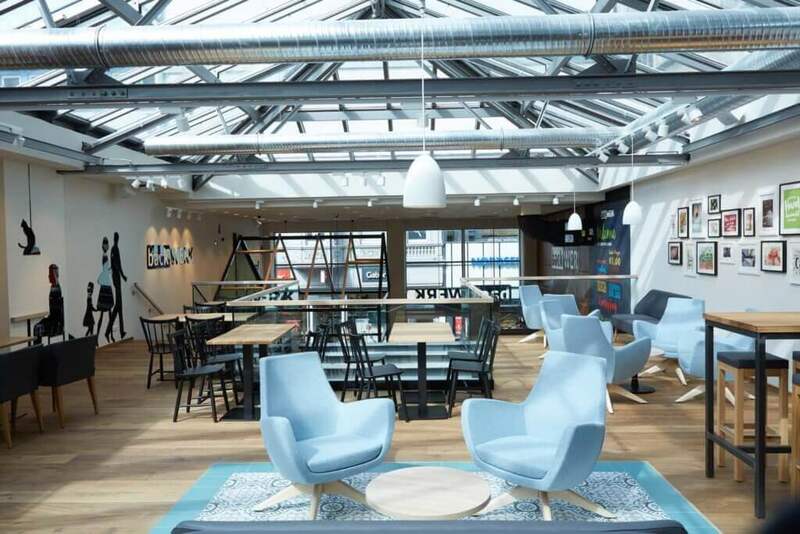 While atmosphere and décor still played an unimportant role some years ago, BackWerk now wants to invite customers to linger for a while. 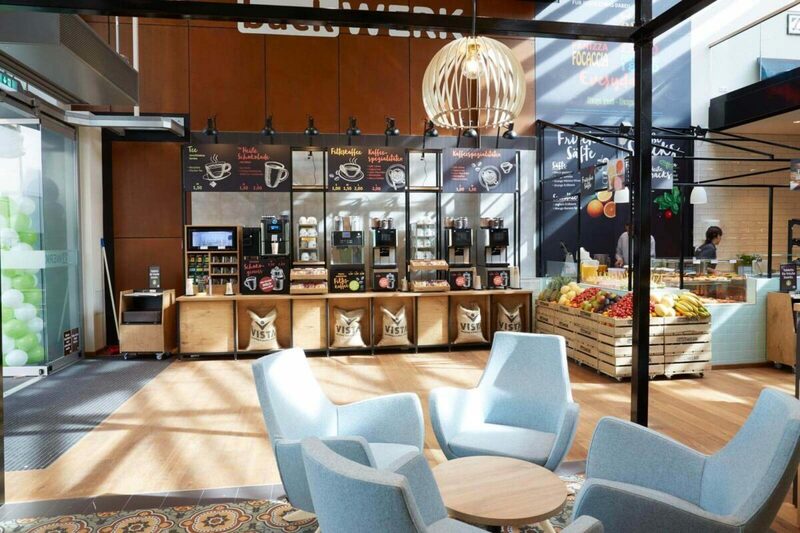 Customers become guests who feel at ease in a modern and bright environment and can sit down for a short while, even when they have little time. This claim is typified by both the flagship store opened in Bochum in May 2018 and the new BackWerk in Winterthur. Quality thus not only applies to the products, but also to customers’ shopping experience. BackWerk flagship store in Bochum: Quality not only applies to the products, but also to customers’ shopping experience. In addition to the new BackWerk concept, Valora has revamped some of its other formats in Switzerland. In the past 20 months, the product ranges and design concepts for Caffè Spettacolo and Brezelkönig have been completely redesigned and rolled out. Photo credit: Burkhard Heinrichs Photographer (2), Alexander Palacios, nische.productions/nonophotography, Tobias Siebrecht.